The TEMARI tradition and legacy has continued for a thousand years because it's fun, easy, creative, and meaningful. The ball’s surface is random wrapped with sewing thread that evenly covers the ball with threads going in every direction. Thus, stitches can be placed in every direction. The art of making a Temari starts by identifying two cardinal poles resulting in finding the equator, referred to as the OBI line. Finding directions is simple: Top – North Pole, Bottom – South Pole, and Middle – Equator (OBI), are marked with colored pins. A plain paper strip with no numbers measures the ball. A pin attaches the strip to the ball. The strip swivels around in a 360-degree circle. Intricate kaleidoscopic designs that look incomprehensible are merely rhythmic layers of threads in colors or shapes laid down in a pre-planned order. Want to learn more? Take a peek at our online shop to find books, DVD and individual patterns that will give you step-by step instructions, tips, and useful guidelines. 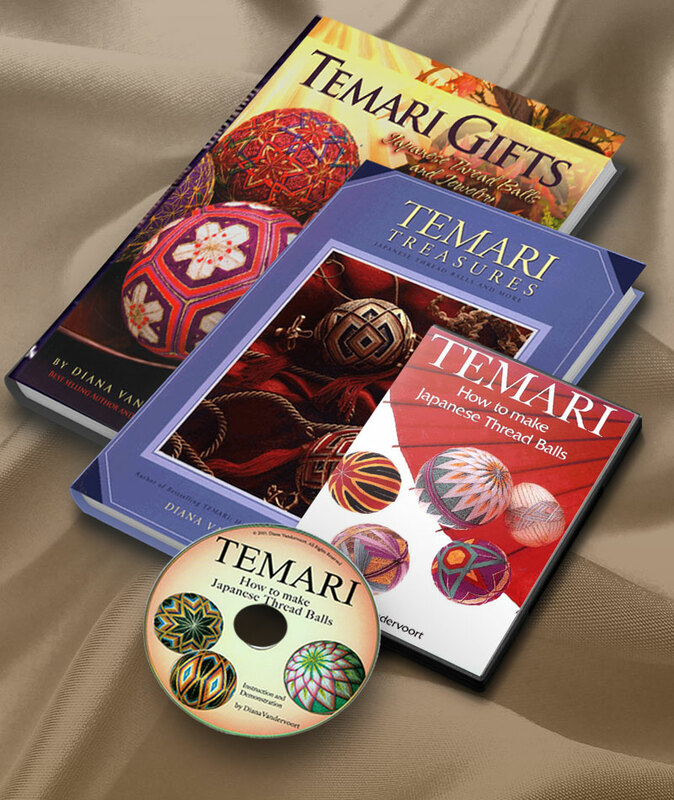 Temari‘s shop has a variety of awe-inspiring books, DVD, and individual patterns that will inspire you. 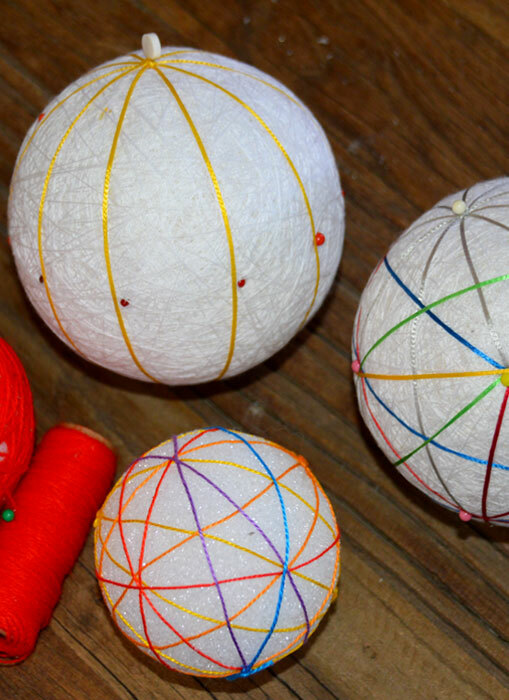 These easy step-by-step instructions will guide you as you dive into the traditional art of Japanese thread balls. 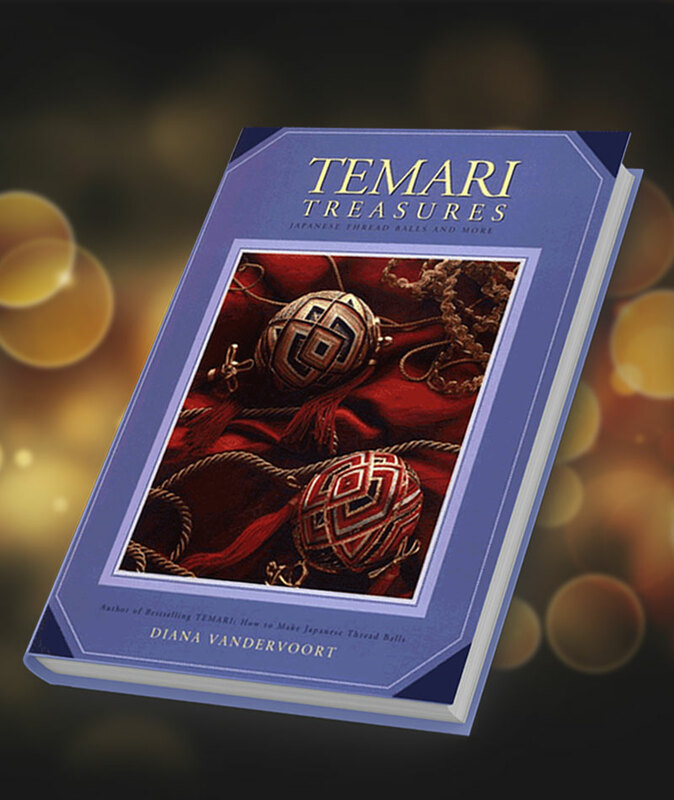 Temari Treasures offers novice to expert stitchers numerous ball and stitching patterns to explore. Discover how to make crystal stars, wave, flowers, and much more with easy to follow detailed instructions. Various patterns are readily accessible along with inexpensive materials, making it easy for all stitchers to be successful. Clear and easy to follow instructions are provided in English. 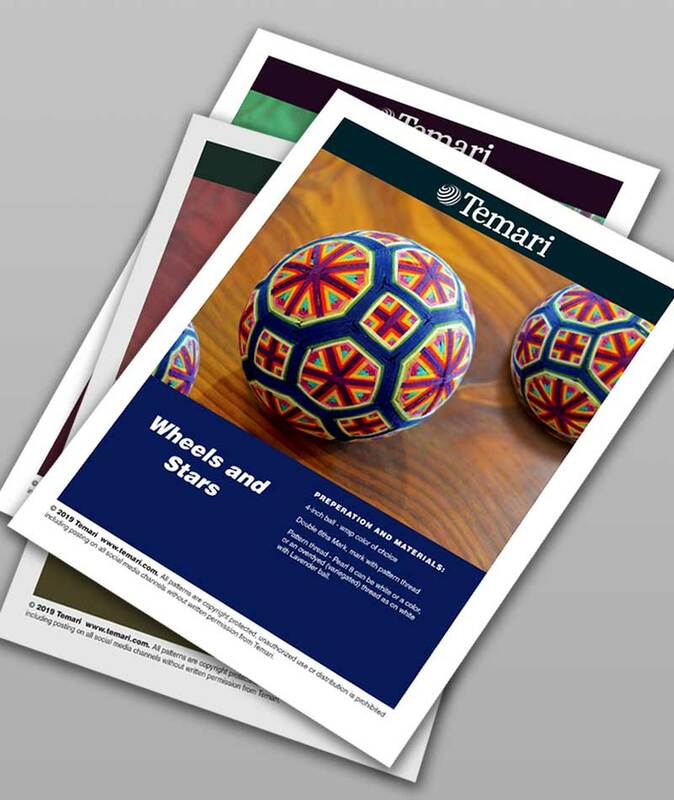 For new Temari creativity, I offer individual Temari stitching patterns and instructions that can be easily downloaded. Try a new pattern and enjoy the fun. With 5 star reviews on Amazon.com, and a favorite on Carol Duvall’s Craft Show on HGTV, DIY Crafts and years on Aleene’s Creative Living with Crafts on TNN, Temari is now available to everyone.